An entry-level DSLR is always going to be a tricky product to positon within a manufacturer’s range, as there’s only so much tech you can incorporate before it’ll encroach on mid-range models. However, with the competing Nikon D3300 already offering a higher resolution and more sensitive sensor than the 1200D, along with a faster continuous shooting rate and a slightly more sophisticated AF system, Canon needed to up its game for the EOS 1300D. Trouble is, it hasn’t. The EOS 1300D is fundamentally unchanged from its predecessor, hence the sensor, shooting speed, AF and video frame rate all continue to trail the D3300. The 1300D’s upgraded screen merely matches the Nikon’s monitor resolution, so in terms of headline features, the Canon has to rely solely on its new Wi-Fi connectivity to win on a specs comparison. Assuming that the D3300’s replacement will almost certainly feature built-in Wi-Fi, the 1300D looks even more vulnerable. 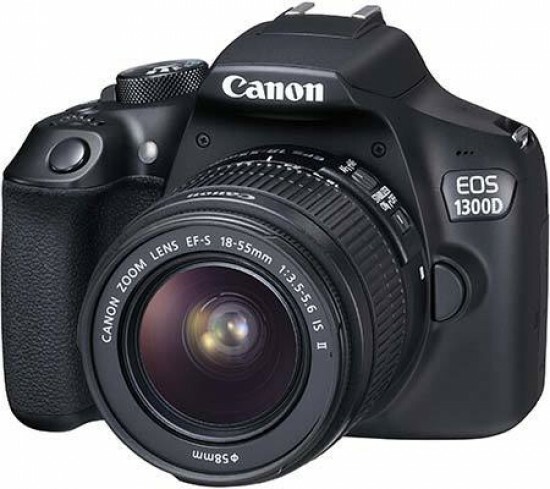 But spec sheets aside, the Canon EOS 1300D is a decent all-round performer in the real world. Its sensor may date back to the dark ages, but it still produces acceptable image quality up to ISO 3200 and it’ll resolve plenty of detail with an 18-55mm kit lens. A 3fps shooting speed is hardly blistering, but this is a camera aimed at DSLR newcomers, not hard-core sports photographers, and for this market things like a leisurely burst shooting speed and basic autofocussing are unlikely to be deal-breakers. What’s more important is a simple and logical control layout that helps you get to grips with manual photography, and here the 1300D excels. Aside from the internal Wi-Fi, it’s the only area that’s superior to the D3300. Sure, the Nikon offers a prettier LCD readout and a guide mode, but when it gets down to the business of actually shooting, the 1300D is more intuitive to operate with dedicated ISO and white balance buttons that greatly enhance its usability.